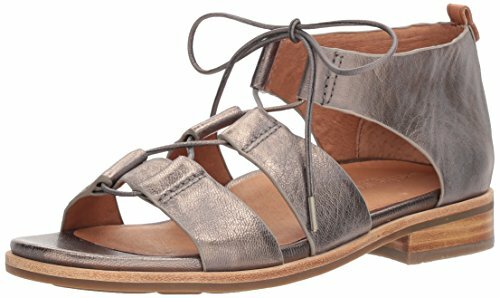 You have reached Gentle Souls GS02125MB Gentle Souls by Kenneth Cole Women's Fina Lace-Up Sandal Sandal, pewter, 9 M US in Findsimilar! Our expertise is to show you Apparel items that are similar to the one you've searched. Amongst them you can find Gentle Souls by Kenneth Cole Women's Gem Gladiator Sandal, Gentle Souls Women's Mikenzie Platform X-Band Slide Sandal, Gentle Souls by Kenneth Cole Break My Heart Gladiator Sandal, Gentle Souls Women's Double Zip Low Profile Sneaker, Gentle Souls Women's Gracey Flat Sandal with Ankle Strap, all for sale with the cheapest prices in the web.